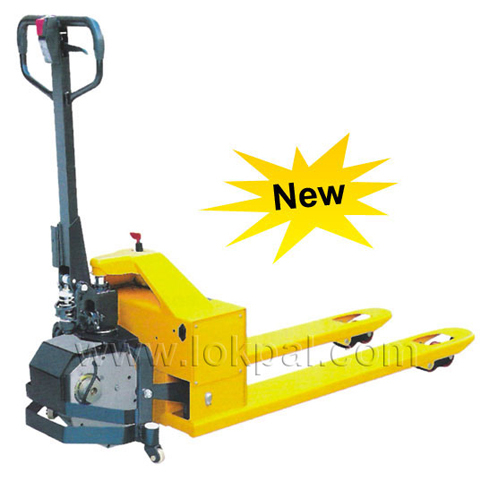 Relying on the latest manufacturing unit, Semi Electric Pallet Truck is introduced for easy transportation of pallets. This is a versatile machine required for handling the pallets safely and easily in big plants or warehouses. Minimum effort is required for lifting the place when done with this machine. Especially designed to cope with the rigorous demands of industries, Rough Terrain Pallet Truck is a best solution. It is manufactured with high grade stainless steel frame that allow high capacity, enhanced lift height and improved stability for higher loads. This has become ideal for moving palletized goods from one place to another even in rough surfaces. 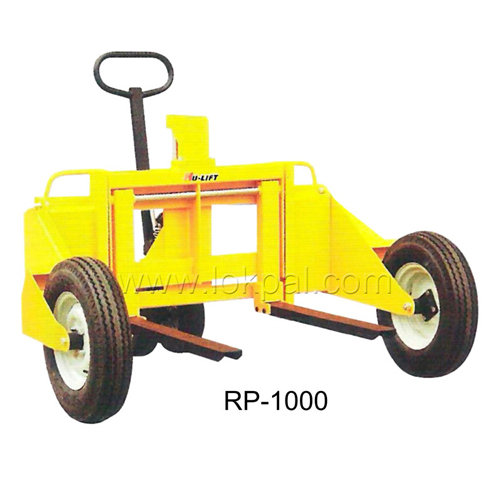 Pallet Tilter Pallet Truck can be titled up to 90 degree. Hand stacker lift and tilt by hand hydraulic action. 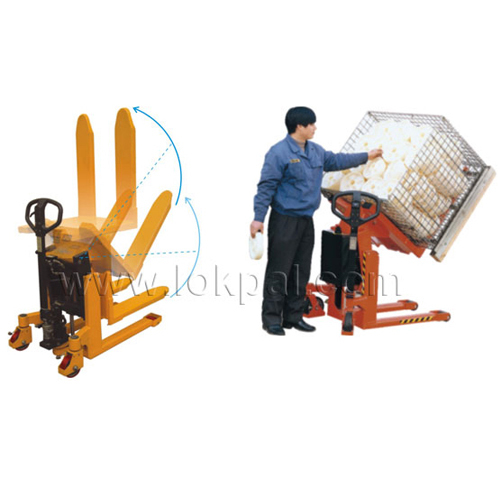 HULK Pallet Tilters are remarkably flexible and are specially designed to give the user an ergonomically correct position for filling or emptying crates or boxes. 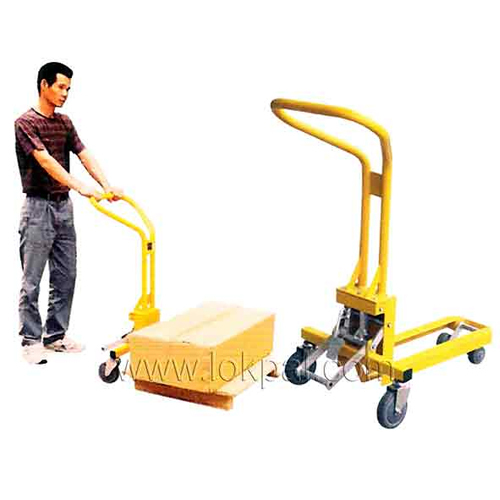 Mechanical Lifter Pallet Trucks is defined as a device that is used for moving pallet from one place to another with ease. It is intended for moving heavy or light pallets within warehouses or store department. The wheels are engrossed for offering balance to the equipment for easy movement.